Don't be scared! 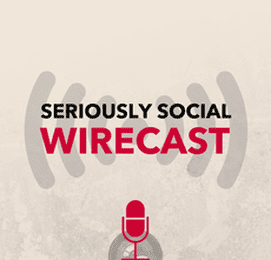 This Wirecast made easy! "Ian Anderson Gray is the go-to person I send anyone who asks me about using Wirecast or OBS to broadcast to Facebook Live. His tutorials and courses do an excellent job of breaking down and explaining these sometimes confusing platforms. Highly recommend!" "Ian makes the tech side of getting your live video show up and running with Wirecast as simple as screaming 'Action'! He's a class act."